Laccase is a multi-copper oxidase enzyme produced from fungi, plants or few bacteria. This enzyme can catalyze the oxidation of numerous substrates by removal of one electron coupled with four-electron reduction of oxygen to water1. Most bacterial laccases are highly thermotolerant and maintain their activity in neutral to alkaline conditions as in bacterial strain Brevibacterium halotolerans N112, whereas fungal laccases can usually reduce their activities rapidly at wide ranges of pH and temperatures3. Laccases have numerous potential in bioremediation, biofuel production, removal of water and soil wastes, and modification of biopolymers4 and also synthetic dyes decolo-rization2. The presence of synthetic dyes in dye manufacturing, sewages of textile and leather tanning industries causes an environmental pollutions due to their toxic effect on plants, animals and also on human health5. The toxicity degree of degradation products depends on their structure which determines the structure of degraded dyes and enzymes used for their degradation6. Due to low yields and high production costs of laccases from host microorganisms, it is important to improve the techniques used for enhancement of laccases yield and reduction of the production cost by utilization of cheap substrates. Therefore, SSF is the most effective technique to promise a higher laccase yield using cheap and waste substances as substrates and low energy input7. Solid-state fermentation is the fermentation type in which microorganisms are inoculated into moist solid substrates without free water content7. The utilization of such solid wastes, in addition to the presence of substitutional substrates, assist to resolve environmental problems, which are caused by their elimination in the open environment8. Agro-industrial residues that commonly used for SSF are wheat bran, cereal grains, wood shavings, sawdust and various other animal and plant materials9. Laccases production is influenced by several factors such as time, medium composition, temperature, pH and carbon and nitrogen sources10. The optimal temperature and pH are mainly dependent on the substrate for high yield of laccase11. The stability of laccase enzymes at different pH, temperature, and different substrates has to be estimated for its improvement in industrial applications2. High cost, limited degradation ability and hazardous by-products are disadvantages of some traditional physical and chemical methods for removal of pollutants12. Therefore, the removal and degradation of pharmaceuticals (sulfa drugs) using effective and eco-friendly methods as enzymatic reaction is necessary to apply13. The degradation of organic pollutants by laccases have received huge interest because of their ability to oxidize a broad range of these wastes and their higher efficiency and lower toxicity of produced metabolites14. The objective of the current work is to utilize solid state fermentation technique for production S. mutabilis A17 laccase, using different agro-industrial wastes as substrates. Optimization, purification and characterization of laccase were also accomplished even to study their potential towards industrial applications. This research also aimed to study the removal of sulfa drugs as sulfadiazine (SDZ), sulfathiazole (STZ) and synthetic dyes. In addition, the toxicity of laccase-treated sulfa drug and synthetic dye samples was investigated against different pathogenic bacterial strains (Gram +ve and Gram –ve). Streptomyces mutabilis A17 (KY883987) was selected as the most potent laccase producer from our previously study. Laccase production from the selected strain was studied under SSF, using cheap raw natural agro-industrial residues. These agro-wastes as rice bran, castor seed cake, wheat bran, wheat straw, soybeans cake, peanut cake, cotton seed cake and chicken feathers were obtained from local Egyptian Markets, and used as solid substrates for screening the laccase production by S. mutabilis A17. The chemical constitutions of these natural agro-industrial by-products were outlined in Table 115-24. Five grams of each collected substrate was dispensed in 250 ml Erlenmeyer conical flask, moistened with 10 ml of Starch – nitrate solution containing (g/l): soluble starch, 20; NaNO3, 2; KCl, 0.5; K2HPO4, 1; MgSO4. 7H2O, 0.5; CaCO3, 1; FeSO4.5H2O, 0.01 and distilled water up to 1000 ml pH 7.0. After autoclaving, the medium was inoculated by 1 ml spore suspension (6 day age culture) then mixed and incubated for 6 days at 35°C. Chemical structure of the experimental natural solid substrate. Different conditions including inoculums size and initial moisture content of substrate were optimized to increase the production S. mutabilis A17 laccase at different temperatures (25- 50oC) under SSF. The effect of supplementation of different carbon sources (1% W/V) as glucose, fructose, arabinose, sucrose, maltose, and lactose) and nitrogen sources (asparagine, glycine, tyrosine, glutamine and cysteine, urea, yeast extract, beef extract, tryptone, peptone and casein) on laccase production was investigated. Each nitrogen source was supplemented to the basal SSF medium according to its equivalent molecular weights, regarding to the maximum concentration of NaNO3. The crude enzyme was extracted according to the method recorded by El-Sayed25, using potassium phosphate buffer (pH 7.0). The mixture was agitated for 1h at 200 rpm, the culture was filtrated by Whatman No.1 filter paper, and filtrate was centrifuged at 4000 rpm for 15 min. The filtrate was utilized as a crude enzyme. The activity of enzyme and its protein content were assayed as described later. Laccase assay has been examined by oxidation of guaiacol according to the method of Kalra et al.26. The oxidation of guaiacol by laccase to develop dense reddish brown color was utilized to assay enzyme activity at 450 nm. The reaction mixture can be designed as follows: 1mL of Guaiacol (2 mM), sodium acetate buffer (10mM) 3mL and enzyme source 1mL (bacterial supernatant). Distilled water (1mL) was used instead of enzyme as a blank. The mixture was incubated for 15 min at 30oC and the absorbance was estimated at 450 nm using UV spectrophoto-meter. One unit of enzyme activity was defined as the amount of enzyme required to oxidize 1 µmol of guaiacol per min under optimal conditions. Protein content of free enzyme was estimated on the crude enzyme using technique of Lowry et al.27. The proteins in the crude enzyme extracted from solid state culture of S. mutabilis A17 were precipitated by 70% ammonium sulfate with stirring at 4°C and then centrifugated at 10,000 rpm for 15 min. The collected pellets were dissolved in 10mM phosphate buffer (pH 6.5). The precipitated protein was dialyzed by the same buffer using dialysis membrane-60, then the dialyzed product was kept at 4oC28. The dialyzate was fractionated by ionexchange chromato-graphy followed by gel-filtration chromatography (Sephadex G100). The most active fractions were pooled and used for subsequent studies. The homogeneity and molecular mass of the purified enzyme was evaluated by using SDS-PEAGE analysis according to the method of Laemmli 29. 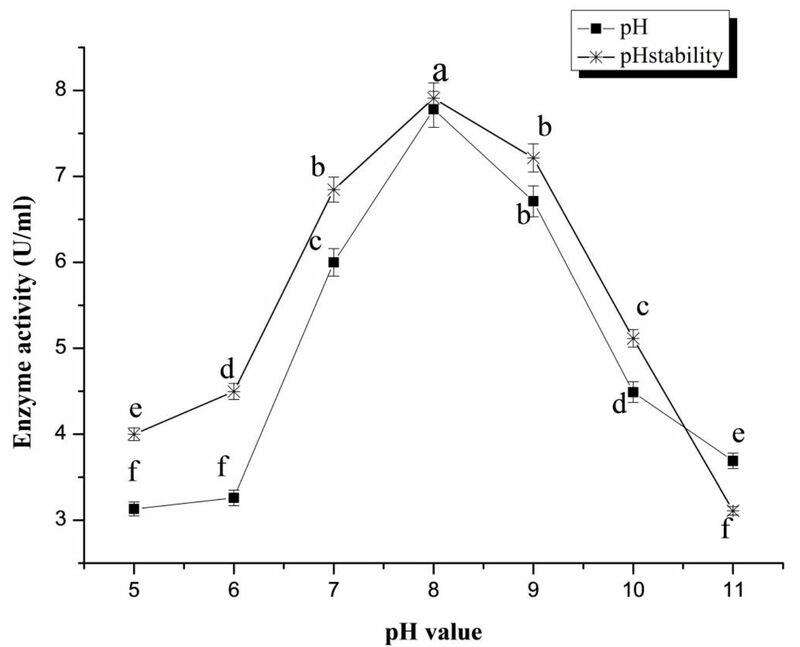 Optimal pH and pH stability of purified enzyme was studied according to a protocol described by El-Batal et al.30. The pure enzyme was separately incubated for 30 min with citrate phosphate buffer for pH (5–8) and Glycine-NaOH for pH (9–11). The pH stability of enzyme was studied when its incubated at different pH values (5-11) for 2h at 35°C. The residual activity was calculated at each pH-value. Laccase activity was investigated at different temperature by incubating the enzyme at 25°C up to 60°C for 15 min. The reaction mixture was incubated for 10, 20, 30, 40, 50 & 60 min and assessment of laccase activity was performed as previously mentioned. Moreover, the influence of various metal ions such as Cu2+, Mg2+, Zn2+, Ca2+, Cd2+, Co2+, Fe2+, Mn2+, Na2+, K2+, Ba2+ and EDTA with the concentration of 10mM was estimated. The reaction assay mixture of laccase was pre-incubated with each activator or inhibitor ion for 30 min before adding guaiacol. The relative enzyme activity was examined after incubation at 37°C for 30 min. The affinity of laccase towards various substrates including 2,6 dimethoxy phenol, catechol, guaiacol, hydroquinone and tyrosine was investigated using different concentrations of each substrate (2-10 mM). In this experiment, the removal of certain sulfa drugs (SDZ and STZ) using purified S. mutabilis A17 laccase was investigated. Sample solutions were intended by dissolving each sulfa drug in a citrate-phosphate buffer (0.1M, pH 5.0). Afterwhich, the reaction mixture was incubated for 60 min at 40oC and 50 rpm. Removal experiments were designed using a protocol described by Rahmani et al.31 with slight modifications. To each sulfa drug solution (final concentration of 50 mg L-1), laccase (81.3 Umg-1) and 1mM HBT were added. Treated and untreated sample solutions were taken every 5 min and filtered through 0.45µm Millipore filters and resolved for residual concentration of sulfa drugs. Removal of sulfa drug solutions were recorded by using UV–VIS spectrophotometer at 450 nm. where C0 is the initial concentrations of sulfa drug solution and Ct is the residual concentrations of sulfa drug solution after t minutes of treatment at experimental conditions. Then, the reaction mixture was further incubated overnight to affirm any a detectable change in the removal percentage. Heat-inactivated laccase was added to the reaction mixture to determine a negative control. To evaluate the effect of incubation temperature on enzymatic removal technique, the purified laccase was incorporated into each sulfa drug solution containing 1mM HBT and incubated at different temperatures (30-60°C) for 60 min. The influence of different pH values on removal percentage of SDZ and STZ by laccase was determined after adjusting the initial pH of each sulfa drug solution using 0.1M citrate-phosphate buffer to pH ranged from 3 to 8. Then, the purified laccase (81.3 Umg-1) and 1mM HBT were supplemented to the reaction mixture and incubated for 60 min at 40°C and 50 rpm. The effect of HBT on the removal percentage of each sulfa drug was investigated by insertion of different HBT concentrations (0.25 up to 1.5 mM) to the SDZ and STZ solutions. The removal percentage of both SDZ and STZ using laccase was determined as mentioned above. The toxicity effect of untreated and laccase-treated SDZ and STZ solutions and dyes (congo red and malachite green dye solutions, 100 mgL-1) on Bacillus cereus LC314797 and Staphylococcus aureus KT337489 (as Gram-positive bacteria), and Klebsiella pneumoniae KF771031 and Salmonella enterica MK127926 (Salmonella_invA. Edited.sqn Salmonella-Anatum-Alb118-strain) (as Gram-negative bacteria) was estimated. In this experiment, each tested bacterial strain was cultured in the Mueller-Hinton broth to reach the OD600 of 0.1. Each sulfa drug and dye solution treated and untreated with laccase (previously prepared) was inserted separately into bacterial culture media and incubated at 37oC for 10 h. Changes in the OD600 of each bacterial strain were then recorded every 2 h. Bacterial cultured in the absence of sulfa drug and dye was performed as a negative control for each experiment. The percentage of bacterial growth inhibition was defined as [(1 -OD600S/ OD600C) X 100], where OD600C= OD of the control, OD600S= OD of the sample32. Well-diffusion method was also used to investigate dye toxicity. Since the high cost of the enzyme is a major limitation in using laccase in an industrial scale; using agricultural wastes not only decreases the cost but also solves an environmental problem33. Therefore, the current study elucidated the potential economical advantages of different solid substrates for S. mutabilis A17 laccase production under SSF. Table 2 showed a significant variation on laccase production regarding to the chemical structure of the substrates. The maximum production of S. mutabilis A17 laccase was detected using cotton seed cake (6.3 Umg-1) followed by peanut cake (5.5 Umg-1) and castor seed cake (5.0 Umg-1). The other solid substrates such as chicken feather, wheat straw, wheat bran, soybean and rice bran showed decreasing in the productivity of laccase. It was observed that, the detectable variation on laccase production by S. mutabilis A17 with the experimental natural substrates may be due to the fluctuation of the chemical composition of these natural substrates as observed in Table 1. The highest productivity of laccase by tested strain using cotton seed cake may be closely related to its high content of amino acids, including arginine, lysine and alanine compared to the other substrates. Thus, seed cotton was selected as the best solid substrate for maximum laccase production for further studied. The maximum Neurospora sitophila laccase production was achieved when using corn cobs as substrate after 96 hours of fermentation period34. Laccase production by S. mutabilis A17 using solid natural substrates. The effect of initial moisture content of cotton seed cake substrate and inoculums size of S. muabilis A17 on laccase production was studied. The maximum enzyme production was attained at 70% moisture content of cotton seed and 3 ml of inoculums size (data not shown). Similarly, maximum activity of N. sitophila laccase was attained at 70% moisture content for corn cobs and rice straw and 60% for sugarcane bagasse34. The higher moisture content can affect enzyme production, promote contamination and reduce heat and oxygen transfer, while low moisture content can disturb nutrients availability and growth7. The highest T. versicolor laccase activity was produced in SSF at 28, pH5 and moisture content 75%35. The supplementation of basal solid medium of S. mutabilis A17 with extra carbon sources exerts significant effect on enzyme production (Fig. 1A). Out of these carbon sources, glucose (1% w/v) exhibited maximal enzyme production (7.6 Uml-1) comparing to the basal solid medium without addition of external carbon sources. The over production of S. mutabilis A17 laccase under SSF using addition of glucose as carbon sources may be due to the compatible effect of glucose that begins biomass production. Vantamuri and Kaliwal36 reported that the maximum Marasmius sp. BBKAV79 laccase production was estimated after addition of ammonium sulphate and starch into the growth medium. The incorporation of various nitrogen sources of basal solid medium of tested strain exhibited a significant effect on enzyme production (Fig. 1B). It was observed that, the maximal enzyme production was obtained by insertion of yeast extract (8.5 Uml-1) followed by beef extract (7.0 Uml-1), meanwhile L-cysteine had repressor effect on enzyme production. El-Batal et al.30 revealed that the highest Pleurotus ostreatus laccase activity was attained when malt extract was added into SSF medium. Production of Y. lipolytica YL4 recombinant laccase was significantly increased after optimization of ammonium chloride, thiamine, yeast extract and sucrose levels in the medium37. Fig. 1. 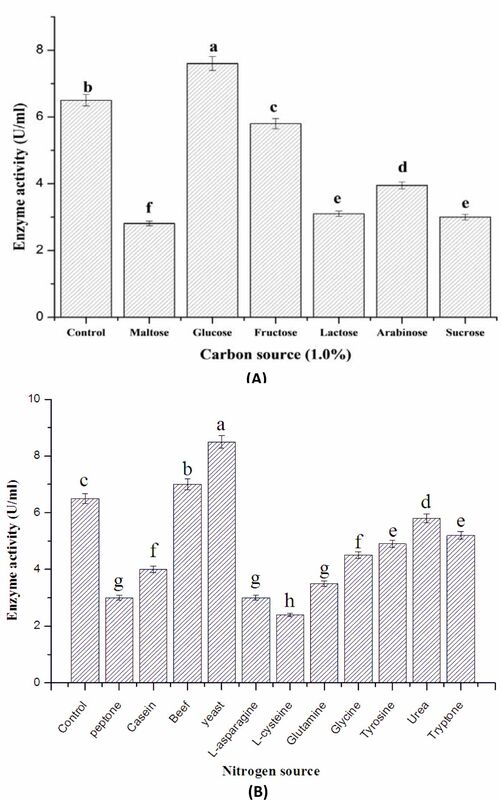 Effect of supplementation of different carbon sources (A) and nitrogen sources (B) on laccase production by S. mutabilis A17 strain under solid state fermentation. The crude enzyme was precipitated by using 70% ammonium sulfate followed by anion exchange and gel filtration. The final specific activity and purity of S. mutabilis A17 laccase were raised to 81.3 Umg-1 and 19.4 fold, respectively, with 52.8 % yield and its molecular weight was 115 kDa (Data not shown). Streptomyces psammoticus laccase precipitation by ammonium sulfate (30–60% saturation) increased the specific activity of laccase to 7.6 Umg-1, followed by DEAE cellulose and gel filtration to increase the purification fold to 12.1, specific activity of 21.6 Umg-1 with final yield of 22.1%38. Gunne and Urlacher39 reported that the molecular weights of Streptomyces griseus and Streptomyces aviceus laccases were 114 and 98 kDa respectively. From the profile of pH stability, the purified S. mutabilis A17 laccase had maximum structural and catalytic stability at pH range from 7.0–9.0 with optimum at pH 8.0 (Fig. 2). The optimum temperature achieved maximum SSF laccase activity was 40oC (Data not shown). Kuddus et al.40 reported that P. putida laccase exhibited maximum activity at pH 9. Optimum pH for Neurospora sitophila laccase activity through solid state fermentation was attained at pH 5 37. The enzyme activity was determined in the absence and presence of different metal ions at concentration 10 mM after a 30 min exposure to each ion. The relative activity was expressed as the percentage ratio of the activity of the enzyme incubated with the effectors to that of the untreated enzyme. The affinity of purified S. mutabilis A17 laccase towards various substrates was summarized in Table 4. It was observed that the enzyme preparation showed abroad substrate specify with higher affinity for 2,6 dimethoxy phenol and guaiacol followed by hydroquinone. A low affinity of enzyme towards tyrosine was exhibited. Liu et al.42 reported that the oxidation of phenolic substrates by laccases were dependent on pH profiles. The redox potential difference between 2,6 dimethoxy phenol and the type I copper of laccase increased with increasing pH value43. Moreover, Klebsiella pneumoniae laccase exhibited high activity toward 2,6 dimethoxy phenol in the pH 7.5–8.5. Affinity of the purified SSF laccase towards various substrates with different concentrations. Affinity of SSF laccase towards various substrates was determined by incubation of the enzyme (81.3 U/mg protein) in 10 mM phosphate buffer (pH 6.5) with various concentrations of substrate (2-10 mM) under the standard assay conditions. In the current study, removal of SDZ and STZ by laccase in the presence of 1mM HBT was investigated. Both sulfa drugs were efficiently removed after incubation with laccase (81.3 Umg-1) for 60 min by removal percentages; 60% of SDZ and 70% of STZ (Data not shown). Liang et al. 44 reported that the removal of sulfadimethoxine at 1 ppm and 10 ppm concentrations were 73.3% and 65.6%, respectively, when using Trametes versicolor assisted-laccase. The removal percentage of sulfamethazine, sulfadiazine and sulfamethoxazole by Pleurotus ostreatus HAUCC 162 mediated-laccases were 97.5%, 98.1% and 97.8%, respectively, after 60 min 45. The maximal removal percentages of SDZ and STZ solutions treated with laccase were attained at 50 and pH 6 in presence of 1mM HBT, represents 73 and 90% removal percentage, respectively (Fig. 3). Margot et al.46 showed that acidic pH values ranged from 5-6 caused fast oxidation of sulfamethoxazole and isoproturon compounds. Fabbrini et al.47 reported that the mediators are considered as electron-shuttles between the substrate and laccase, with stimulating activity of the mediator. Ostadhadi-Dehkordi et al.48 indicated that HBT is a non-phenolic laccase mediator and it considered one of the most efficient mediators, due to its high redox potential and catalytic role of N-OH group. This laccase mediator has been widely utilized for removal of synthetic dyes, polycyclic aromatic hydrocarbons, and pharmaceutical agents. Fig. 3. Optimization of removal conditions of sulfadiazine (SDZ) and sulfathiazole (STZ) using purified SSF laccase. The sulfa drug (SDZ and STZ) solutions were treated with laccase (81.3 U/mg) and incubated at different incubation-temperatures (A), initial pH-values (B) and HBT concentrations (C). Different bacterial strains including B. cereus LC314797, S. aureus KT337489, S. enterica MK127926 and K. pneumoniae KF771031 were used for the evaluation of toxicity of sulfa drugs (SDZ and STZ) and also the synthetic dyes (congo red and malachite green) after laccase treatment. The growth inhibition percentage of all bacterial strains was significantly decreased after addition of both sulfa drugs and dye solutions treated with laccase to culture media. From the results in Fig. 4, it was observed that the tested sulfa drug alone have the capability to suppress the growth of all tested pathogenic bacterial strains. Meanwhile, the growth inhibition of these strains was decreased after treated with laccase-sulfonamide solutions (Fig. 4). These results proved that the antimicrobial activity and toxicity effect of SDZ and STZ was significantly inhibited by addition of enzymatic laccase solution. The results are shown in Fig. 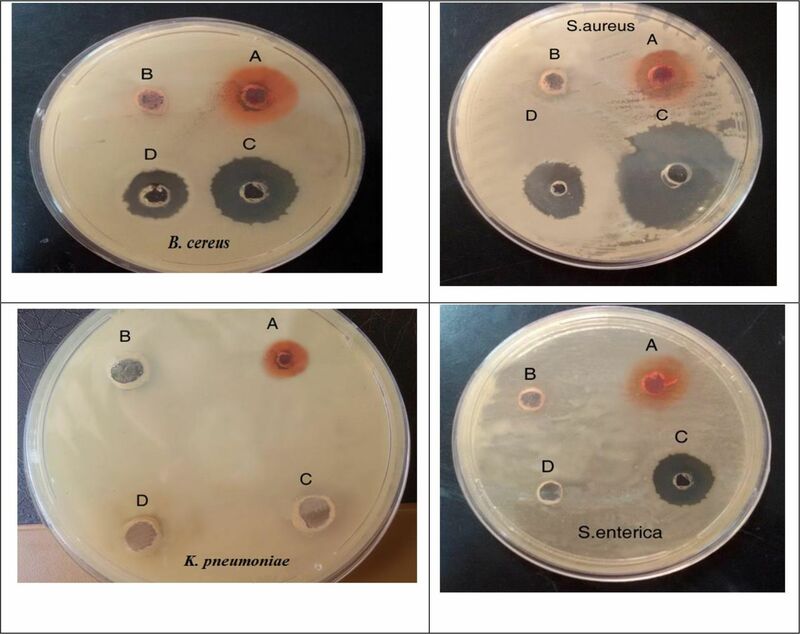 5 and illustrated in Plate 1 indicated that the growth inhibition of B.cereus, S. aureus, S.enterica and K. pneumoniae, treated with laccase-congo red solutions was significantly decreased by 28, 23, 16 and 9%, respectively, and 12, 19, 5 and 4% respectively in the case of laccase-malachite green. Plate. 1 The toxicity effect of untreated and laccase-treated dyes (congo red and malachite green solutions, 100 mgL-1) on B. cereus LC314797, S. aureus KT337489, S. enterica MK127926 and K. pneumoniae KF771031. This figure shows the growth inhibition of the tested strains treated as the following; (A) 50mL congo red dye and 50mL of 0.1M sodium acetate (B) 50ml of laccase enzyme mixed with 50mL congo red dye, (C) 50mL malachite green and 50mL of 0.1M sodium acetate (D) 50mL of laccase enzyme mixed with 50mL malachite green dye. The change in diameter of clear zone around the well was compared after addition of both dye solutions treated with laccase against bacterial strains. Fig. 5. 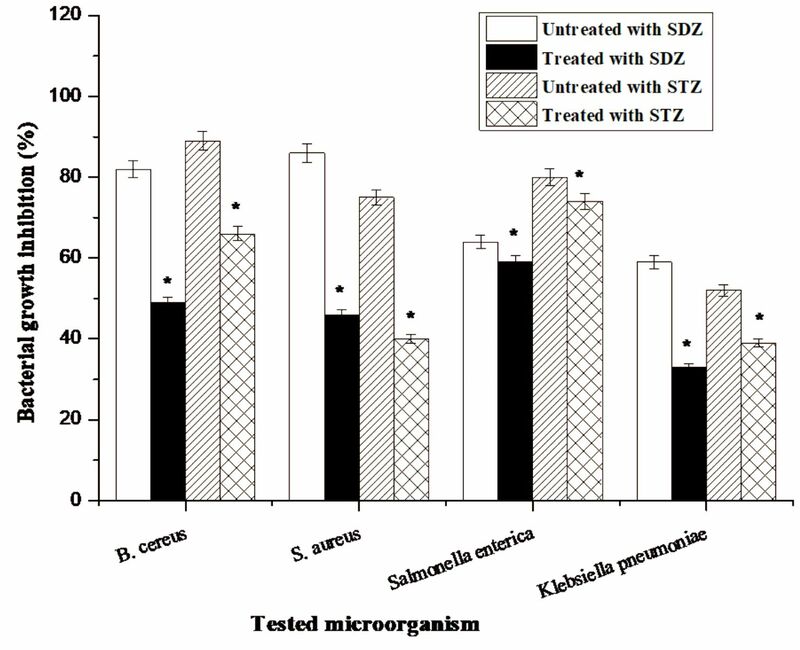 Growth inhibition percentage of untreated and laccase-treated sulfa drugs (sulfadiazine (SDZ), sulfathiazole (STZ)) against tested bacterial strains. Where, Untreated: sulfa drug solution without SSF laccase; Treated: sulfa drug solution treated with SSF laccase. The columns followed by asterisks are significantly different according to paired-samples t test. Values are the mean of three replicates. The bars represent the standard error of the mean. The microbial growth of P. syringae, M. luteus, B. subtilis, E. coli and P. aeruginosa strains, using orange 2 dye treated with Trametes versicolor laccase, was increased higher than that without laccase added49. Also, Ashrafi et al.32 proved that the growth of M. luteus, S. aureus, B. subtilis, E. coli, P. aeruginosa and S. typhi strains was significantly increased in the presence of laccase-treated Direct Blue 71. SSF is a very promising cultivation technique for the production of industrially-relevant laccases, especially utilizing agro-wastes as support-substrates. From our results, it could be concluded that the maximum laccase production by S. mutabilis A17 has been attained when cotton seed cake was used as natural substrate. Using the purified SSF S. mutabilis A17 laccase in the biological oxidation and detoxification of sulfonamides, and synthetic dyes including congo red and malachite green as potentially useful agent to remove environmental pollutants. The toxicity study using certain Gram positive and Gram negative bacterial strains showed a detectible decrease in the percentage of growth inhibition of the tested bacterial strains in presence of laccase-treated dyes and sulfonamides antibiotics. Marco-Urrea, E., Reddy, CA. Degradation of chloro-organic pollutants by white rot fungi, In: Singh, N.S. (ed.) Microbial Degradation of Xenobiotics. 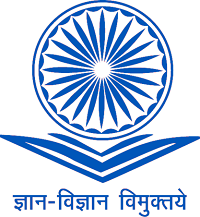 Environmental Science and Engineering, 2012; 31–66. Reda, F.M., Hassan, N.S., El-Moghazy, A.N. Decolorization of synthetic dyes by free and immobilized laccases from newly isolated strain Brevibacterium halotolerans N11 (KY883983). Biocatalysis and Agricultural Biotechnology, 2018; 15: 138–145. Baldrian, P., ¡Snajdr, J. Production of ligninolytic enzymes by litter-decomposing fungi and their ability to decolorize synthetic dyes. Enzyme and Microbial Technology, 2006; 39(5): 1023–1029. Dwivedi, U.N, Singh, P., Pandey, V.P, Kumar, A. Structure function relationship among bacterial, fungal and plant laccases. Journal of Molecular Catalysis B: Enzymatic, 2011; 68: 117–128. Teerapatsakul, C., Parra, R., Keshavarz, T., Chitradon L. Repeated batch for dye degradation in an airlift bioreactor by laccase entrapped in copper alginate. International Biodeterioration and Biodegradation, 2017; 120: 52–57. Polak, J., Jarosz-Wilkolazka, A.J, Szuster-Ciesielska, A., Wlizlo, K., Kopycinska, M., Sojka-Ledakowicz, J., Lichawska-Olczy, k. Toxicity and dyeing properties of dyes obtained through laccase-mediated synthesis. Journal of Cleanar Production, (2016; 112: 4265–4272. Chen, H. Biotechnology Principles of Solid State Fermentation in Modern Solid State Fermen-tation: Theory and Practice. Springer, Heidelberg, 2013; 23–73. Sivakumar, R., Rajendran, R., Balakumar, C., Tamilvendan, M. Isolation, screening and optimi-zation of production medium for thermostable laccase production from Ganoderma sp. International Journal of Engineering Science and Technology, 2010; 2: 7133–7141. Glazer, A.N, Nikaido, H. Microbial Biotechnology: Fundamentals of Applied Microbiology. 2nd Edn., Cambridge University Press, Cambridge, UK., ISBN, 2007; 13: 554. Lorenzo, M., Moldes, D., Couto, S.R, Sanrom´an, A. Improving laccase production by employing different lignocellulosic wastes in submerged cultures of Trametes versicolor. Bioresource Technology, 2002; 82(2): 109–113. Nyanhongo, G.S, Gomes, J., G¨ubitz, G., Zvauya, R., Read, J.S, Steiner, W. Production of laccase by a newly isolated strain of Trametes modesta. Bioresource Technology, 2002; 84(3): 259–263. Levin, L., Carabajal, M., Hofrichter, M., Ullrich, R. Degradation of 4-nitrophenolby the white-rot polypore Trametes versicolor. International Biodeterioration and Biodegrdation, 2016; 107: 174-179. Zhang,W., Xu, D., Niu, Z., Yin, K., Liu, P., Chen, L. Isolation and characterization of Pseudomonas sp. DX7 capable of degrading sulfadoxine. Bio-degradation, 2012; 23: 431-439. Mirzadeh, S.S, Khezri, S.M, Rezaei, S., Forootanfar, H., Mahvi, A.H, Faramarzi, M.A. Decolorization of two synthetic dyes using the purified laccase of Paraconiothyrium variabile immobilized on porous silica beads. Journal of Environmental Health Science and Engineering, 2014; 12: 6. Zhang, Y., Parsons, CM. Effects of over processing on the nutritional quality of peanut meal. Poultry Science, 1996; 75: 514-518. Batal, A., Dale, N., Cafי, M. Nutrient Composition of Peanut Meal. The Journal of Applied Poultry Research, 2005; 14: 254–257. Luh, B. S, Barber, S., deBarger, CB. Rice Utilization, in B. S. Luh, ed. Vol. II, Avi Book, Van Nostrand Reinhold, New York, 1991. Nadeem, M.A, Gilani, AH, Khan, A.G, Mahr-Un-Nisa. Amino Acids Availability of Poultry Feed stuffs in Pakistan. International Journal of Agriculture and Biology, 2005; 7(6): 985-989. Kaufmann, C., Sauer, W.C, Cervantes, M., Zhang, Y., He, J., Rademacher, M., Htoo, J. K. Amino acid and energy digestibility in different sources of rice bran for growing pigs. Canadian Veterinary Journal, 2005; 355- 363. Calhoun, M.M, Kuhlmann, S.W, Baldwin, B.C Jr. Cotton feed product composition and gossypol availability and toxicity, 125-145 in Proceeding. National Invitational, 1995. Van Eys, J.E, Offner, A., Bach, A. Chemical Analysis. Manual of Quality Analysis for Soybean products in the Feed Industry. American Soybean Association, 2004. Saravanan, K. Exploration on amino acid content and morphological structure in chicken feather. Journal of Textile and Apparel, Technology management, 2012; 7: 1-6. Patil, S.S, Ahmed, S.A, Telang, S.M, Baig, M.M.V. The nutritional value of Pleurotus ostreatus (JACQ.:FR.) kumm cultivated on different lignocellulosic agro-different wastes. Innovative Romanian Food Biotechnol, 2010; 7: 66-76. El-Sayed, A.S.A. Purification and characterization of a new L-methioninase from Aspergillus flavipes under solid state fermentation. Journal of Microbiology, 2011; 49: 130-140. Kalra, K., Chauhan, R., Shavez, M., Sachdeva, S. Isolation of laccase producing Trichoderma spp. and effect of pH and temperature on its activity. International Journal of Chemistry and Environ-mental Technology, 2013; 5(5): 2229– 2235. Lowry, O.H, Rosebrough, N.J, Farr, A.L, Randall, R.J. Protein measurement with Folin phenol reagent. Journal of Biological Chemistry, 1951; 193: 265-275. Majolagbe, O.N, Oloke, J.K, DekaBoruah, H.P, Bordoloi, A.K, Borah, M. Extraction of extra-cellular laccase from wild, mutants and hybrid strains of two white-rots fungus and its applications in decolourization and ligninolysis. Journal of Microbiology, Biotechnology and Food Sciences, 2012; 2: 998-1016. Laemmli, UK. Cleavage of structural proteins during the assembly of the head of bacteriophage T4. Nature (London), 1970; 227: 680-685. El-Batal, A., ElKenawy, N.M, Yassin, A.S, Amin, M.A. Laccase production by Pleurotus ostreatus and its application in synthesis of gold nanoparticles. Biotechnology Reports, 2015; 5: 31–39. 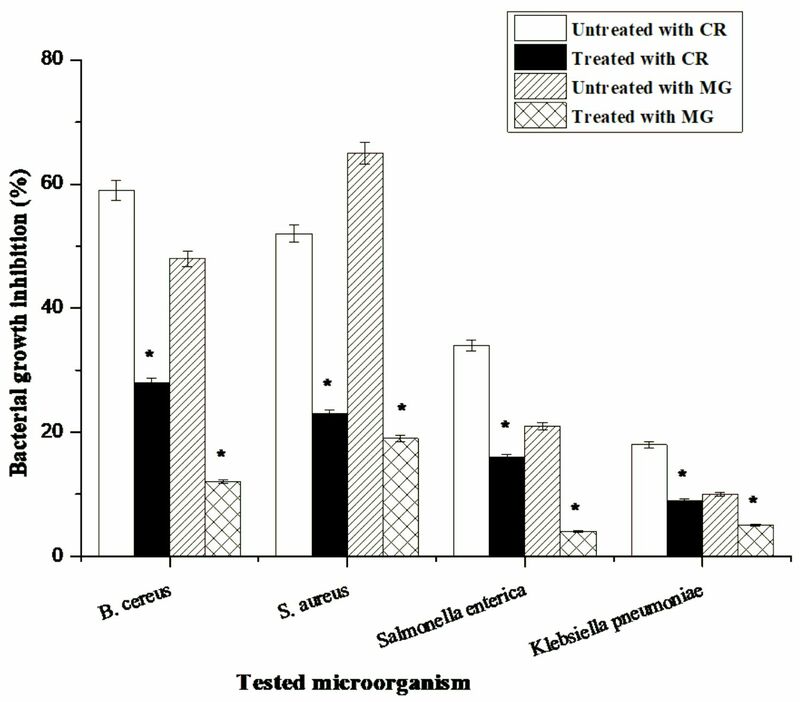 Rahmani, K., Faramarzi, M.A, Mahvi, A.H, Gholami, M., Esrafili, A., Forootanfar, H., Farzadkia, M. Elimination and detoxification of sulfathiazole and sulfamethoxazole assisted by laccase immobilized on porous silica beads. International Biodeterioration & Biodegradation, 2015; 97: 107-114. Ashrafi, S.D, Rezaei, S., Forootanfar, H., Mahvi, A.H, Faramarzi, M.A. The enzymatic decolorization and detoxification of synthetic dyes by the laccase from a soil-isolated ascomycete, Paraconiothyrium variabile. Int. Biodeterioration. Biodegradation, 2013; 85: 173-181. Gómez, J., Pazos, M., Couto, S.R, Sanromán, RA. Chestnut shell and barley bran as potential substrates for laccase production by Coriolopsis rigida under solidstate conditions. Journal of Food Engineering, 2005; 68: 315–319. Hadri, S.H, Asad, M.J, Gulfraz, M., Asghar, M., Minhas, N.M, Mahmood, R.T, Zakia, S, Mahmood, N. Solid State Fermentation for the production of Laccase by Neurospora sitophila using agro-wastes and its partial purification. International Journal of Biochemistry and Biotechnology, 2015; 4(5): 564-573. Adekunle, A.E, Zhang, C., Guo, C., Liu, CZ. Laccase Production from Trametes versicolor in Solid-State . Fermentation of Steam-Exploded Pretreated Cornstalk. Waste Biomass Valor, 2017; 8: 153–159. Vantamuri, A.B, Kaliwal, B.B. Production of laccase by newly isolated Marasmius sp. BBKAV79 in solid state fermentation and its antiproleferative activity. IJPSR, 2016; 7(12): 4978-4987. Darvishia, F., Moradia, M., Jolivaltb, C., Madzakc, C. Laccase production from sucrose by recombinant Yarrowia lipolytica and its application to decolorization of environmental pollutant dyes. Ecotoxicology and Environmental Safety, 2018; 165: 278–283. Niladevi, K.N, Prema, P. Immobilization of laccase from Streptomyces psammoticus and its application inphenol removal using packed bed reactor. World Journal of Microbiology and Biotechnology, 2008; 24(7): 1215–1222. Gunne, M., Urlacher, V.B. Characterization of the Alkaline Laccase Ssl1 from Streptomyces sviceus with Unusual Properties Discovered by Genome Mining. PLOS ONE, 2012; 7(12):1–8. Kuddus, M., Joseph, B., Ramteke, P.W. Production of laccase from newly isolated Pseudomonas putida and its application bioremediation of synthetic dyes and industrial effluents. Biocatalysis and Agricultural Biotechnology, 2013; 2(4): 333–338. Telke, A.A, Kim, S.W, Govindwar, S.P. Significant reduction in toxicity, BOD, and COD of textile dyes and textile industry effluent by a novel bacterium Pseudomonas sp. LBC1. Folia Microbiologica, 2012; 57(2): 115–122. Liu, Y., Huang, L., Guo,W., Jia, L., Fu,Y., Gui, S., Lu, F. Cloning, expression, and characterization of a thermostable andpH-stable laccase from Klebsiella pneumoniae and its application to dye decolorization. Process Biochemistry, 2017; 53: 125-134. Nguyen, L.N, Hai, F.I, Dossetob, A., Richardson, C., Priced, W.E, Nghiema, L .Continuous adsorption and biotransformation of micropollutants by granular activated carbon-bound laccase in a packed-bed enzyme reactor. Bioresources Technology, 2016; 210: 108–116. Liang, S., Luo, Q., Huang, Q. Degradation of sulfadimethoxine catalyzed by laccase with soybean meal extract as natural mediator: Mechanism and reaction pathway. Chemosphere, 2017; 181: 320-327. Zhuo, R., Yu, H., Yuan, P., Fan, J., Chen, L., Li, Y., Ma, F., Zhang, X. Heterologous expression and characterization of three laccases obtained from Pleurotus ostreatus HAUCC 162 for removal of environmental pollutants. Journal of Hazardous Materials, 2018; 344: 499–510. Margot, J., Copinb, P.J, Guntena, U., Barrya, D.A, Holligera, C. Sulfamethoxazole and isoproturon degradation and detoxification by a laccase-mediator system: Influence of treatment conditions and mechanistic aspects. Biochemical Engineering Journal, 2015; 103: 47–59. Fabbrini, M., Galli C., Gentili P. Comparing the catalytic efficiency of some mediators of laccase. Journal of Molecular Catalysis B: Enzymatic 2002; 16: 231–240. Ostadhadi-Dehkordi, S., Tabatabaei-Sameni, M., Forootanfar, H., Kolahdouz, S., Ghazi-Khansari, M., Faramarzi, M.A. Degradation of some benzodia-zepines by a laccase-mediated system in aqueous solution. Bioresources Technology, 2012; 125: 344-347. Legerská, B., Chmelová, D., Ondrejovič, M. Decolourization and detoxification of monoazo dyes by laccase from the white-rot fungus Trametes versicolor. Journal of Biotechnology, 2018; 285: 84–90.